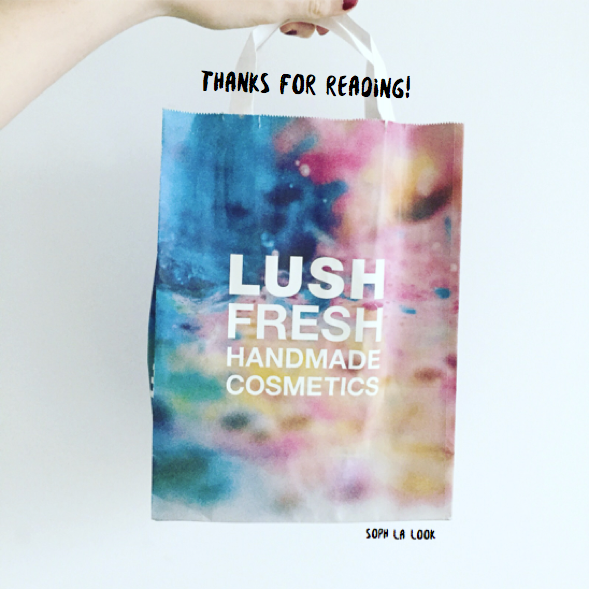 When browsing in Lush stores, it's hard not to be sucked in by the overwhelming array of patterns and colour explosions on offer. I'm as drawn to these vibrant swirls of colour as your next beauty addict but visually enticing as they are, the boldest, brightest products rarely make their way into my basket. I always make a real conscious effort to steer clear of these in favour of the more natural (and colour-free) offerings. It's due to my sensitive, Eczema prone skin that I tend to avoid harsh colorants and perfumes. 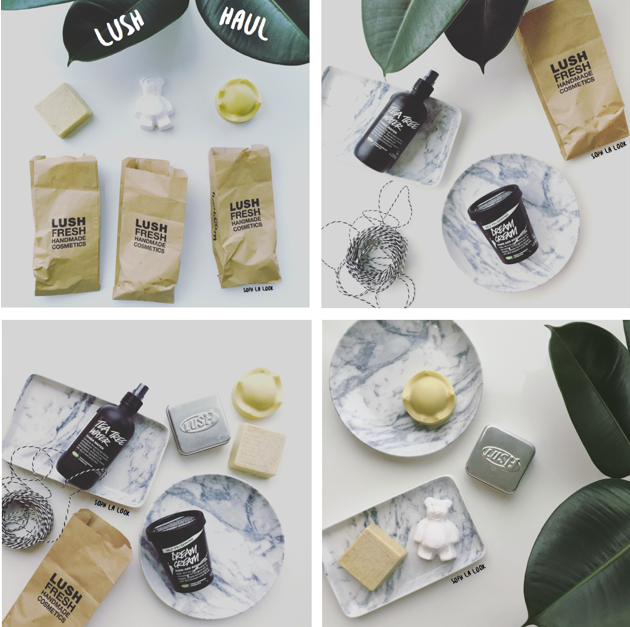 When purchasing I am always sure to opt for the simplest products on offer, which means limited colouring, and natural scents where possible! The blander appearing products may not get as much attention as their eye-catching competition, but their skin loving properties make them my hero products which I go back to time and time again! The neutral palette of my chosen products also fits perfectly with my minimalist bathroom scheme - look out for a tour of this coming up on the blog! Its glowing recipe list reads like your recommended daily allowance of fruit and veg, from Fresh Organic Bananas to Avocado and Virgin Olive Oil, this product will nourish your skin from the outside-in. In addition to these surprisingly edible ingredients, a combo of Shea Butter and Cocoa Butter make this a rich and creamy body butter to condition thirsty, lack-lustre skin. It's melty texture softens at body temperature, leaving a nourishing film of moisturiser that diminishes the need for extra lotions and potions after the bath or shower. 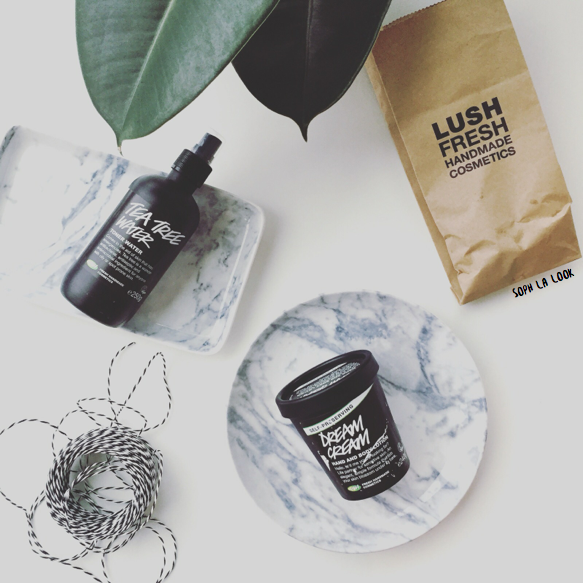 An all round skin saviour! This was a re-purchase and has become a firm favourite in my bathroom. 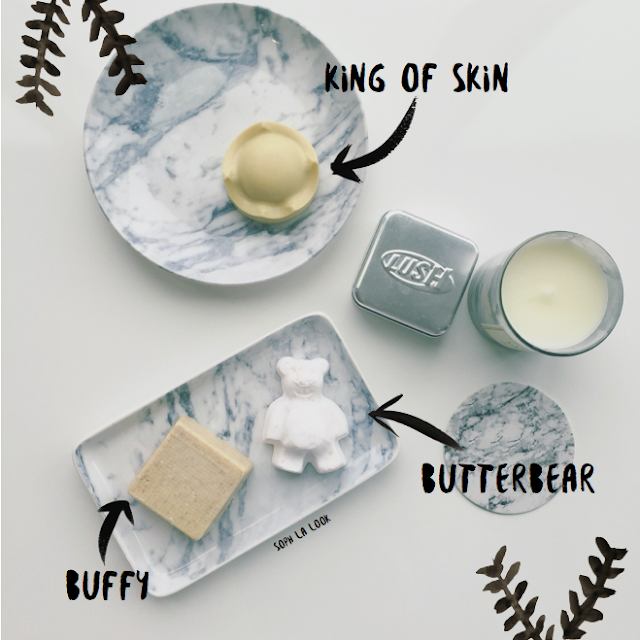 Similar to King of Skin in its base ingredients and melty consistency, but this one has the added bonus of Almond shells, which add a gritty, exfoliating texture which buffs away dry skin whilst still comforting and moisturising. 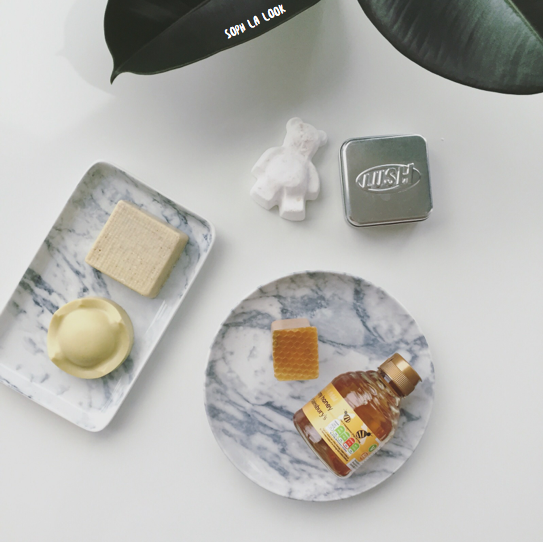 Leaves a nourishing, light oil residue and has a subtly sweet almond scent which lingers without being too overpowering. Aside from its obvious cuteness, the Butterbear bath bomb has a ton of benefits to add to your bath! 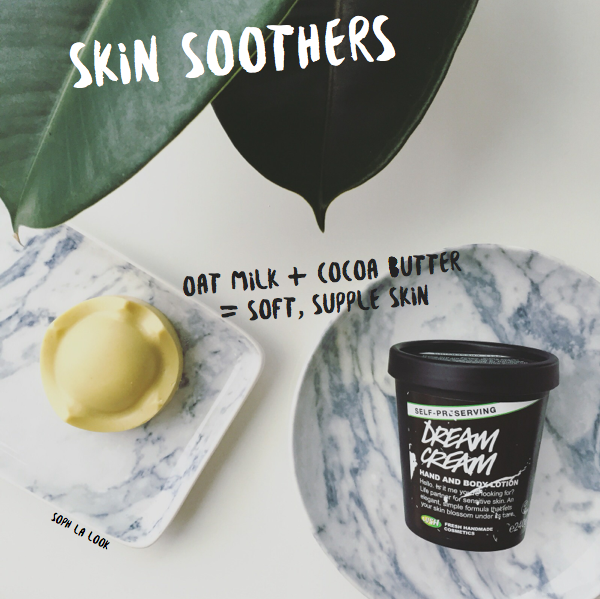 It has a wonderfully warm, chocolatey scent thanks to its base of Cocoa Butter, and the Oat Milk (a holy grail ingredient which features in most of my Lush faves) adds a soothing and softening milkiness to your bath when crumbled under the running tap. As with King Of Skin, this body moisturiser is brimming full of nourishing and moisturising ingredients which are kind to sensitive skin. I was first introduced to this by a family friend who used it on her baby who was suffering with Eczema. It's a super gentle formula that serves to soothe and calm irritated skin. It has recently been brought out in a new self-preserving formula with no parabens, which means it is even kinder to the skin! Good news all round! It has a gorgeous lavender-esque, calming scent (probably due to the Lavander Oil it contains!) which makes it perfect for slathering on after an evening bath as part of your night time routine. This soap has been a long-standing favourite of mine, not only does it look adorable with its honeycombed topping, but it also smells delish. 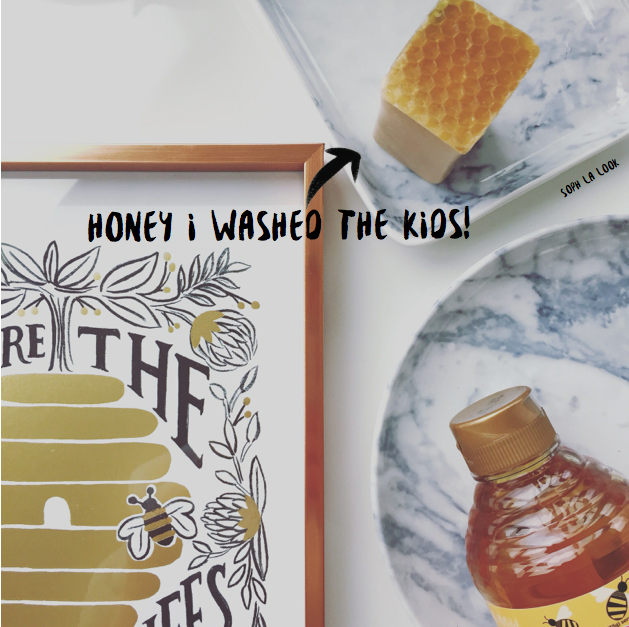 A sweet and warming caramel scent with a hint of honey that is not at all overbearing if you pardon the pun ;) It also contains nourishing ingredients with skin soothing properties, such as English Honey which is not only moisturising but also serves as a natural antiseptic. And finally a facial skincare fave to round up my haul. This is a simple but effective toner, which consists largely of Tea Tree Water along with Grapefruit and Juniperberry. Tea Tree Oil is renowned for its natural anti-bacterial properties which help to combat clogged pores and keep lingering, spot-inducing bacteria at bay. This is a mild, gentle toner which still packs a punch; perfect for my combination dry/oily (aka the worst of both worlds) skin! It has an invigorating scent, and makes for a lovely, refreshing spritz after cleansing, adding a soothing and calming step to my daily skincare routine.